Drivers who use State Route 347 should plan for an overnight lane closure as Arizona Department of Transportation crews perform pavement-preservation work. Northbound SR 347 will be narrowed to one lane between Riggs Road and Interstate 10 from 9 p.m. Sept. 13 to 5 a.m. Sept. 14. 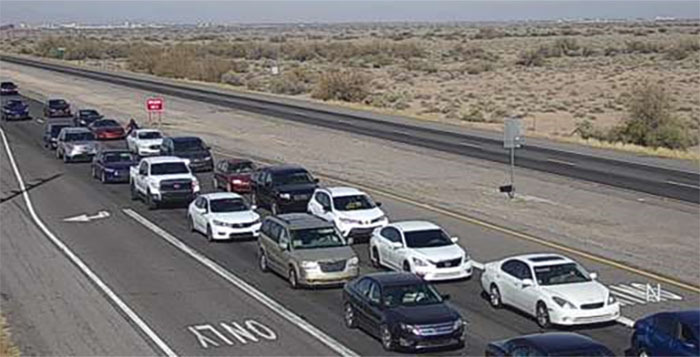 ADOT will maintain one lane of travel northbound on SR 347, but delays are possible. Drivers should slow down and use caution around crews and equipment. Schedules are subject to change based on weather and other unforeseen factors. For more information, please call the ADOT Project Information Line at 855-712-8530 or email Projects@azdot.gov.